After talking about one of the great queens of Senegal, Queen Ndate Yalla Mbodj, it made total sense to explore the meaning of the capital and largest city of Senegal: Dakar. Is the name a local Wolof name? or does it have a French origin? Is the name’s meaning linked to Dakar’s strong fishing tradition or something else? The name Dakar could be the French version of Ndakaarou (Ndakaaru), local name whose etymology still remains uncertain. It could be derived from the wolof deuk raw meaning “whoever settles here will be in peace,” or dekk-raw from dekk (country), and raw (to escape) because of the afflux of populations from the Cayor and Baol regions after the Lebous settled there. It could also arise from the wolof dakhar, the name for the tamarind tree: it is said that upon arrival in the area, the Lebou people were impressed by the huge numbers of Tamarind trees they saw, and thus named the area after it, dakhar. However, some historians think that the area was named after a French marine officer Accar or d’Accard, who lived there at the end of the 17th century, and was mentioned on maps of that era. 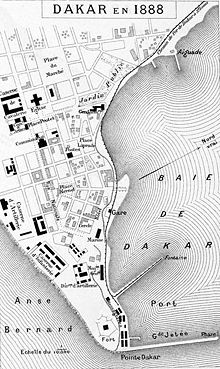 The name Dakar first appeared on a 1750 map of the Cap-Vert Peninsula, drawn by French botanist Michel Adanson. The Cap-Vert peninsula was settled, no later than the 15th century, by the Lebou people, an aquacultural ethnic group related to the neighboring Wolof and Serer. The original villages: Ouakam, Ngor, Yoff and Hann, still constitute distinctively Lebou neighborhoods of the city today. 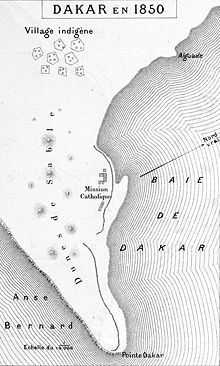 In 1444, the Portuguese reached the Bay of Dakar, initially as slave-raiders, but were repulsed by the natives on the shores. Peaceful contact was finally opened in 1456 by Diogo Gomes, and the bay was subsequently referred to as the “Angra de Bezeguiche” (after the name of the local ruler). Due to its key location, the bay of “Bezeguiche” would eventually serve as a critical stop for the Portuguese India Armadas of the early 16th century. The Portuguese eventually founded a settlement on the island of Gorée (then known as the island of Bezeguiche or Palma), which by 1536 they began to use as a base for the export of slaves. The mainland of Cap-Vert, however, was under control of the Jolof Empire, as part of the western province of Cayor which seceded from Jolof in its own right in 1549. A new Lebou village, called Ndakaaru, was established directly across from Gorée in the 17th century to service the European trading factory with food and drinking water. 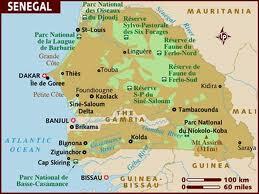 The city of Dakar is a commune, one of the 67 communes of Senegal. 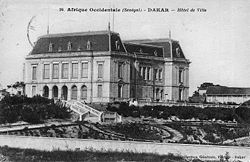 The commune of Dakar was created by the French colonial administration on June 17, 1887 by detaching it from the commune of Gorée. The commune of Dakar is also a department, one of the 34 departments of Senegal; this is quite similar to Paris, which is both a commune and a department. 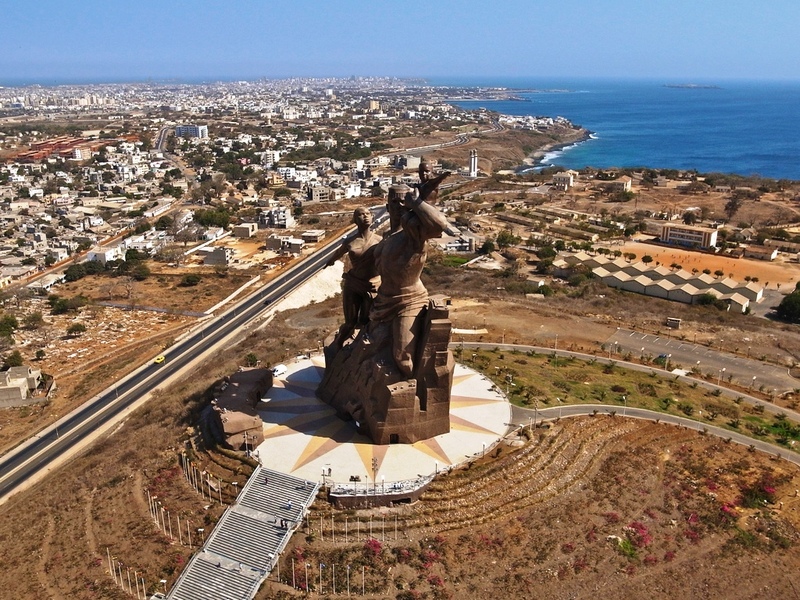 Dakar was also the capital of the short-lived Mali Federation from 1959 to 1960, before becoming the capital of independent Senegal in 1960. The poet, philosopher and first President of Senegal, Léopold Sédar Senghor, tried to transform Dakar into the “Sub-Saharan African Athens” (l’Athènes de l’Afrique subsaharienne). 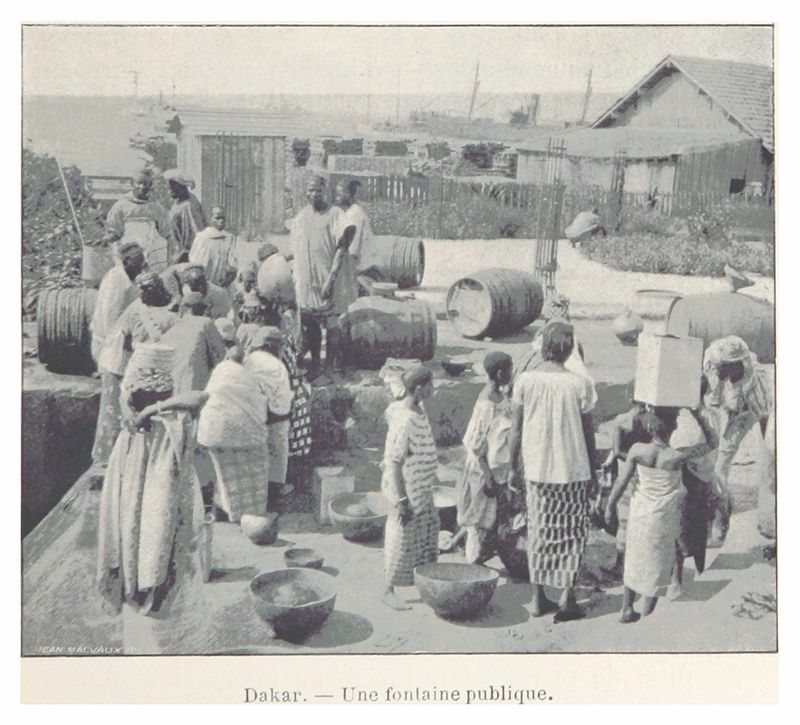 In its colonial heyday Dakar was one of the major cities of the French Empire, comparable to Hanoi or Beirut. French trading firms established branch offices there and industrial investments (mills, breweries, refineries, canneries) were attracted by its port and rail facilities. Today, Dakar is a major financial center, home to national and regional banks, and numerous international organizations, NGOs and international research centers. Beginning in 1978 and until 2007, Dakar was frequently the ending point of the famous Dakar Rally. It is also home to the IFAN Museum of West African culture, and the tallest sculpture in Africa, the African Renaissance Monument. Dakar is a vibrant and cosmopolitan city. Located on the shores of the Atlantic Ocean, its numerous sandy beaches and the warmth of its people make it a rare pearl. Enjoy the video below, and if you get a chance, do visit this “Athens of Sub-Saharan Africa”, and do not forget to taste the amazing fish, and world-renowned Senegalese cuisine, and feel the spirit of the teranga (hospitality). You would love it! It is a beautiful city, with beautiful people, great food, and the beaches are just outstanding.